Lock in a great price for W South Beach – rated 8.6 by recent guests! The property is beautiful, well-maintained, and very well located. We had a very good lunch at The Dutch with fabulous service. The pool and surrounding area is really lovely and inviting and all of the hotel staff with whom we interacted were extremely friendly and accommodating. Everyone went over the top to make sure my stay was amazing. The location is very nice. The resort is clean. The general help are friendly. The management is unresponsive though. Everything about this hotel was absolutely beautiful. Wish our stay was longer!! It was simply perfect! Thank you so much ! The staff on site was great! They all went out of there way to make us happy and even tried to find ways to make us happier. The view from our room was great. I liked being on the beach. Just about everything. The night club was a take or leave situation and Mr. Chow not doing room charges was a surprise and a pain but still worth the dining experience. A beautifully-designed hotel, with a nice variety of public spaces. During the day there is the spacious swimming pool and wide sandy beach, and by night there are indoor and outdoor bars and the wonderful Mr. Chow restaurant. The hotel is chic but comfortable, with impeccable service. the hotel is quite on the high end but not as high end as the ritz carlton on a scale. Friendly and helpful staff, all around. Spacious well equipped rooms, with good gym and sports facilities. Comfortable and luxury pool and beach area with extra activities. Located right on the north edge of the south beach area. 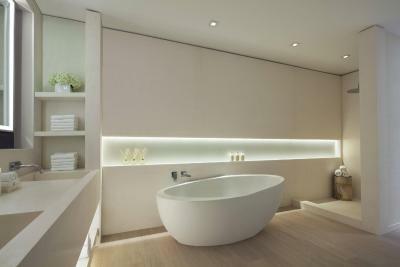 W South Beach This rating is a reflection of how the property compares to the industry standard when it comes to price, facilities and services available. It's based on a self-evaluation by the property. Use this rating to help choose your stay! One of our top picks in Miami Beach.Relax by the poolside at W South Beach, which features 2 on-site pools and a light fare bar and grille. 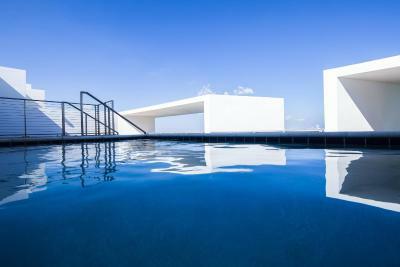 Located in Miami Beach, this resort offers cabana rentals and poolside light fare from WET Bar & Grille. A private balcony with ocean views, a 37-inch flat-screen TV, and a marble-lined private bathroom are included in every suite and studio. Select rooms house a kitchen or kitchenette. The en suite mixed bar offers chargers, sun block, snacks, and more. Workout at FIT, W South Beach’s rooftop fitness center, or enjoy a game of basketball or tennis at SWISH or SWING. Guests can treat themselves to facials, massages, and nail care at Bliss® Spa Miami or hire bicycles for daytime explorations. Delight in authentic Asian fares at Mr Chow, which serves dinner under a 125-foot gold-leaf chandelier, or dine on yellowtail, oysters, and ceviche at The Dutch of W South Beach, which offers classic American dishes with multicultural flair. 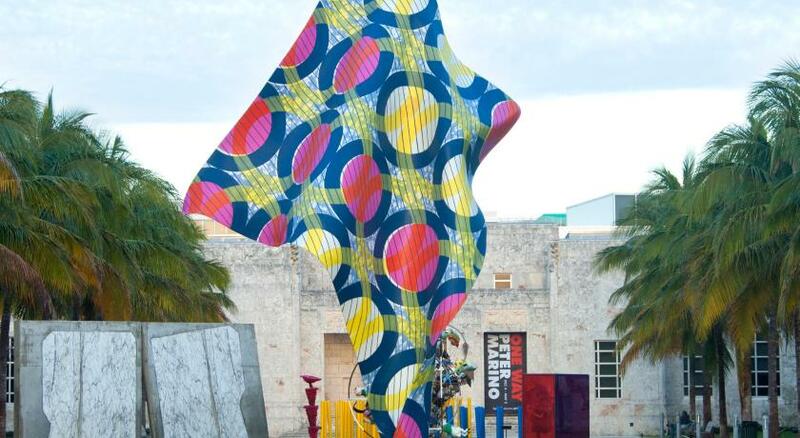 Lincoln Road Mall is 8 minutes’ drive from the resort while world-famous South Beach is 7 minutes’ drive. Miami International Airport is 11 mi from the property. This property also has one of the top-rated locations in Miami Beach! Guests are happier about it compared to other properties in the area. 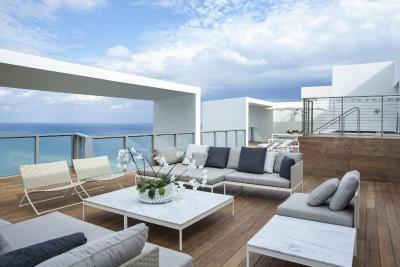 뀐 Located in the top-rated area in Miami Beach, this property has an excellent location score of 9.1! 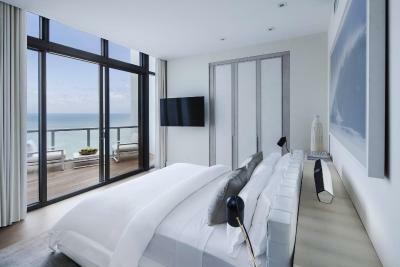 When would you like to stay at W South Beach? Public parking is available at a location nearby (reservation is not possible) and costs USD 46 per day. Escape to W South Beach, a beachfront oasis in the cosmopolitan heart of South Beach. Swing open your guest room door to discover some of the largest guest rooms in South Beach, each room boasting its own private balcony and striking ocean views, unlike any other hotel in South Beach. House Rules W South Beach takes special requests – add in the next step! W South Beach accepts these cards and reserves the right to temporarily hold an amount prior to arrival. Please note that the breakfast package includes breakfast for 2 guests, regardless of the room type. Please note that for room types with a maximum occupancy of 3, the 3rd bed is a rollaway bed. The credit card used for prepaid booking must be presented at check-in. If it is not, the hotel reserves the right to collect a guarantee payment in cash or another credit card. Over priced, over crowded, you have to pay for umbrellas at beach, a waiting list to sit by pool or you can pay $550 to sit in Cabana. Up selling pitch when checking in, loud housekeepers socializing in corridors in the morning, room didn’t get cleaned one day, average food.